CHIVA-SOM, HUA HIN was named Asia’s favorite spa by SpaFinder Readers’ Choice awards for 2012. Chiva-Som received this year’s Crystal Award for Asia – the top award in the Readers’Choice survey. The Spa at the Oyster Box, The Oyster Box Hotel, received the award for Africa; Gwinganna Lifestyle Retreat, for Australia; The Spa at Four Seasons Hotel Georges V Paris, for Europe; Life in Balance Spa, Miraval, for North America; and The Spa at Four Seasons Hotel Buenos Aires, for South America. The Readers’ Choice Awards tallied a record number of votes globally this year. U.S.-BASED PRIVATE EQUITY Fund Manager Pegasus Capital Advisors LP was honored at the 23rd annual Hotel Investment Conference Asia Pacific (HICAP), receiving the award for the Merger & Acquisition Deal of the Year for its acquisition of Six Senses Hotels Resorts Spas. Bernhard Bohnenberger, long-time president of Six Senses Hotels Resorts Spas, was in attendance and received the award on behalf of the U.S.-based firm. In June of this year, Pegasus acquired Bangkok-based Six Senses, a pioneer in the global trend of sustainable luxury hospitality, providing Pegasus the rights to the Six Senses and Evason resort and spa management contracts and related intellectual property. The new generation of Six Senses will consist of 28 branded spas and 12 branded resorts around the world. Sustainable Luxury Holdings (BVI) Limited, a newly formed company managed by Pegasus and its affiliates, will operate the newly acquired assets. The new structure establishes a well capitalized future to pursue international growth opportunities for the brand. LOI KRATHONG represents a time for the Thais to give thanks to the goddess of water and to seek forgiveness for past misdeeds. It occurs at night during the full moon of the 12th Thai lunar month, which in 2012 takes place on Nov. 28. Loi literally means “to float,” while Krathong refers to the lotus-shaped vessels containing candles, incense and flowers which participants float down rivers, lakes and ponds across the country. The festival also includes beauty pageants, fireworks and contests in which individuals construct the Krathong from unique materials such as banana leaves, banana tree trunks, coconut barks or even paper. The Delightful Color of Stream, Loi Krathong Festival, Nov. 24 – 28 at Asiatique The Riverfront, Chao Phraya River (Krung Thep Bridge-Krung Thon Bridge), Bangkok. Highlights include opening ceremonies on Nov. 24, plus cultural performances, light decorations and the float procession all along the banks of the Chao Phraya River. Phra Nakhorn Si Ayutthaya, Loi Krathong Festival, Nov. 28 at the Bangsai Arts and Crafts Centre, Ayutthaya. Highlights include: Beauty pageants, Krathong contests and cultural performances, with individuals competing to win the King’s Trophy. 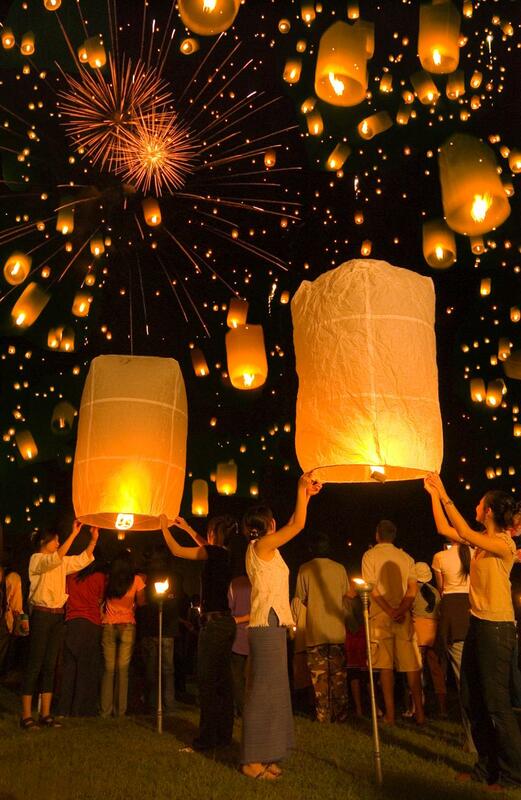 Yee Peng Festival, Nov.28 – 29 at the Tha Phae Gate (Nov. 28 – 29), Amphur Mae Jo (Nov. 24 – 30), Chiangmai. Highlights include: cultural performances and crafts, the Lanna style walking street and the opening ceremony of “Yi Peng Festival 2012,” plus an amazing procession of hanging lanterns at Chiangmai Night Bazaar, beauty contests and a light and sound presentation on the Ping River.There will also be a Krathong procession competition for the King’s Trophy. 137 Pillars House, which has created a package to celebrate this very special occasion. Valid from Nov. 27 –30, it includes two nights’ accommodation in its Rajah Brooke Suite, private limousine airport transfers, complimentary fruit basket on arrival and a sumptuous daily breakfast. Guests will also receive a traditional local style Kad Mua buffet dinner (food only) and entertainment on No. 28, as well as a Kom Loy (rice paper lantern) and Krathong (flower arrangement with candles). This package is priced at USD $760 (THB 22,700). Additional nights are available at best available rate for applicable dates, and are inclusive of accommodation and breakfast. For more information and reservations, visit www.137pillarshouse.com or call +66 53 247 788. 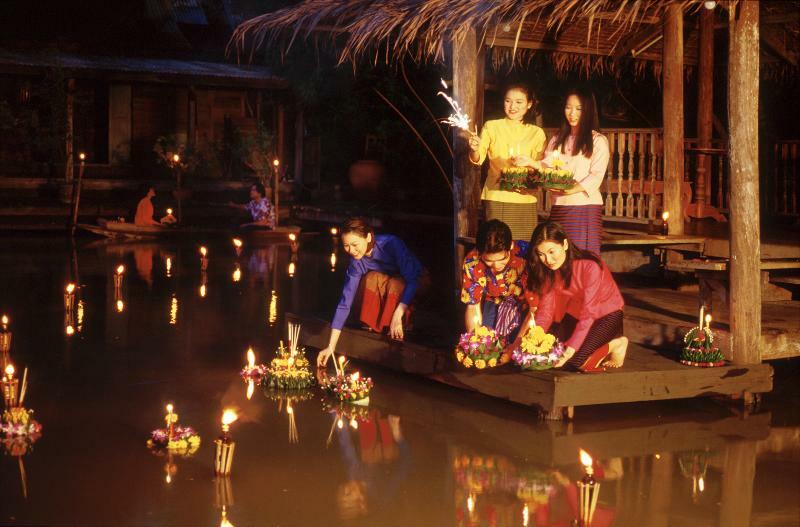 Experience Yi Peng, the Northern Thai Festival of Lights, at Four Seasons Resort Chiangmai. This year, Four Seasons Resort Chiangmai has created a special package to let guests celebrate the Lanna Yi Peng Festival – famous for its floating lanterns, in conjunction with Loi Krathong. Its two-night Festival of Lights package is available between Nov. 29 and Dec.1, 2012, and includes accommodation, daily breakfast for two, a special Loi Krathong dinner at Terraces, transfers to Chiangmai to see the floating krathongs, and the chance to take part in and witness the spectacle of thousands of floating lanterns being launched simultaneously at Tudongkhasathan Lanna. For more information and to make reservations, visit www.fourseasons.com/chiangmai. A POSTCARD DATED JAN. 15, 1936, depicting the Railway Hotel in Hua Hin recently come to light in the records of Centara Hotels & Resorts, which now owns and operates the hotel as Centara Grand Beach Resort & Villas Hua Hin. The hotel is about to celebrate its 90th birthday, having opened in October 1922 and had its grand opening on Jan. 1, 1923. Regarded as one of the classic hotels of the East, and earlier this year enlisted as a member of the Leading Hotels of the World, the property dates back to the time when Hua Hin itself was evolving into Thailand’s first beach resort. “The railway era brought great changes to Siam, as Thailand was then known,” says Thirayuth Chirathivat, Centara Hotels & Resorts’ CEO. “There were very few roads into the provincial areas, and places such as Hua Hin were known only to the local population. The beauty of Hua Hin was realized by the engineers surveying the southern railway route in 1909. Land was set aside for a station, and when the first section of the line opened in 1911, Hua Hin became a destination where wealthy Bangkok residents built their holiday homes. The southern line to Malaysia was completed in 1921, making it possible to travel between Bangkok, Malaysia and Singapore by train. Royal Siamese Railways (RSR) directed Italian architect A. Rigazzi to build a hotel, and at the same time commissioned a Scottish engineer named A. O. Robins to layout a golf course. The Railway Hotel initially had only 14 guestrooms, but it was very well appointed and furnished and had an excellent standard of service to cater for its wealthy Thai and foreign guests. 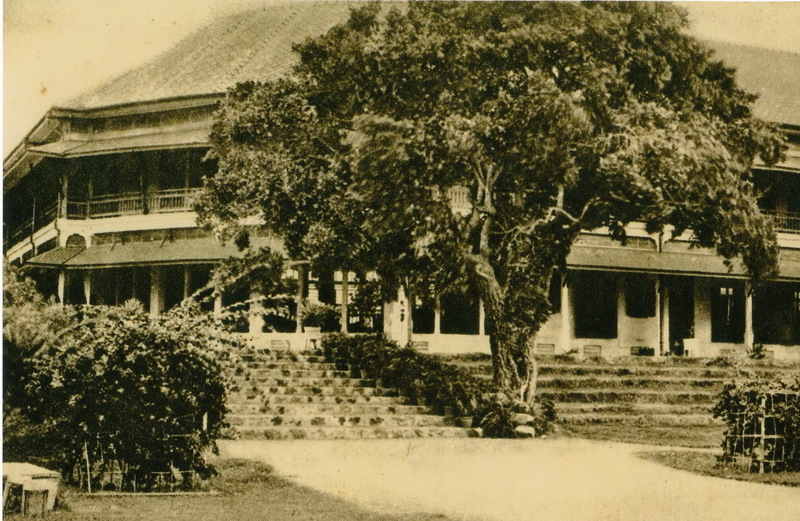 By 1928 the hotel’s reputation was international and to accommodate the growing number of visitors to Hua Hin, RSR added a new wing of 13 rooms, which were built to the exact same design as its existing building. After the Second World War more guestrooms were added, along with three restaurants, a downstairs bar, and a lobby with a panoramic view of Hua Hin’s bay. The value of the Railway Hotel as a building of architectural and historic interest was fully acknowledged by the Thai Government when in 1986 Central Group, the parent company of Centara Hotels & Resorts, acquired the property, with the preservation of the old buildings and extensive gardens an important condition of the contract. The historical building has been meticulously preserved, with all the subsequent additions designed to blend with the existing structure and to maintain the air of elegance and leisure into which the hotel was born. Hua Hin meanwhile has developed into a royal town, a resort known worldwide for its quiet charm, the old golf course now known as Royal Hua Hin Golf Course, the Hua Hin Railway Station regarded as an architectural design marvel, and Centara Grand Beach Resort & Villas Hua Hin, which has become the centre of the town’s social life — as it was in the 1920s — and all the way through the subsequent decades. Postcards featuring the hotel were very popular, said Mr Thirayuth , who also noted that the 1936 card was found among a collection of memorabilia, some of which can now be seen in The Museum Coffee & Tea Corner, which is set in the original hotel lobby. INTELLIGENT SPAS has released the results of the first dedicated Spa Consumer Survey in Thailand, which identified a collection of valuable statistics about spa goers’ recent behaviors, current preferences and forecast spa visits. This vital research will enable spa operators, consultants and hoteliers to better cater for the changing needs of spa goers. “Intelligent Spas was proud to be selected as the premier research partner by the Thai Spa Association to conduct this inaugural study. 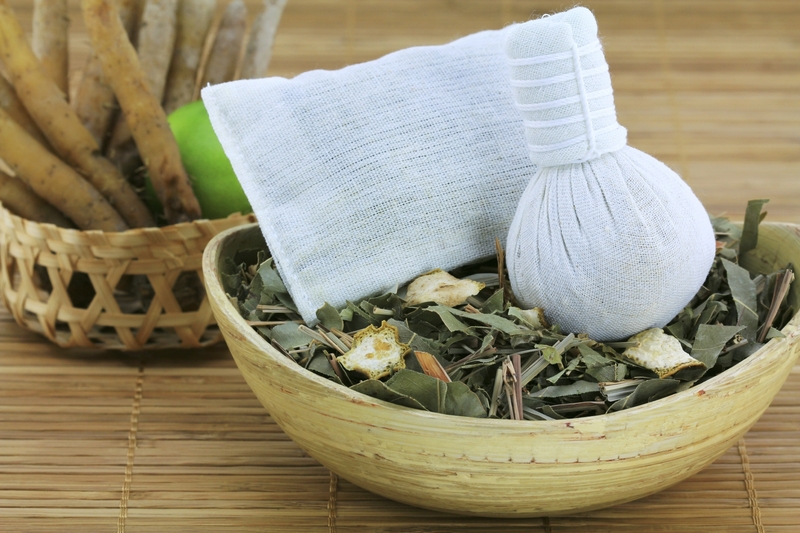 The report includes information relating to the number and frequency of past and predicted spa visits, reasons for visiting spas, successful promotional channels, popular treatments and spending patterns,” explained Julie Garrow, managing director of 100% independent research company Intelligent Spas (www.IntelligentSpas.com). The report was launched at the World Spa and Well-being Convention in late September. Intelligent Spas and TSPA thanked sponsors and supporters for this research. These include the Tourism Authority of Thailand, Voya, SpaRitual, Kamalaya, BEAUTY department store and Ramburi. Intelligent Spas is the only 100% independent research company specializing in the spa industry. Founded in Singapore in 2001, it has pioneered statistically reliable and comparable research for the global spa industry and continues to publish a range of spa operations manuals and spa survey reports to assist the performance and growth of this essential industry. SIX SENSES RESORTS AND SPAS won five top awards at the World Travel Awards (WTA) Asia, Australasia & Indian Ocean Ceremony 2012, held in Singapore on Oct. 19. 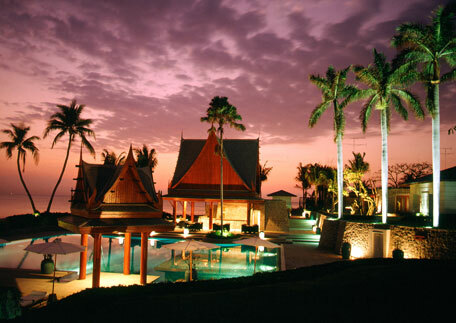 Six Senses Hua Hin in Thailand won in two categories, reinforcing its position in the luxury Hua Hin sector as Asia’s Leading Villa Resort 2012 and Thailand’s Leading Villa Resort 2012. 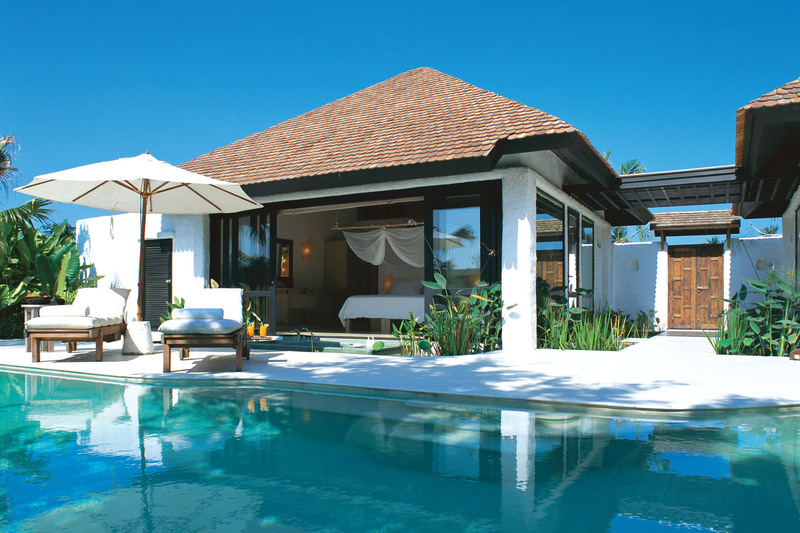 Six Senses Samui in Thailand received the award for Asia’s Leading Honeymoon Resort 2012. This intimate villa resort is set on a 20-acre promontory which offers uninterrupted panoramas to the Gulf of Thailand. 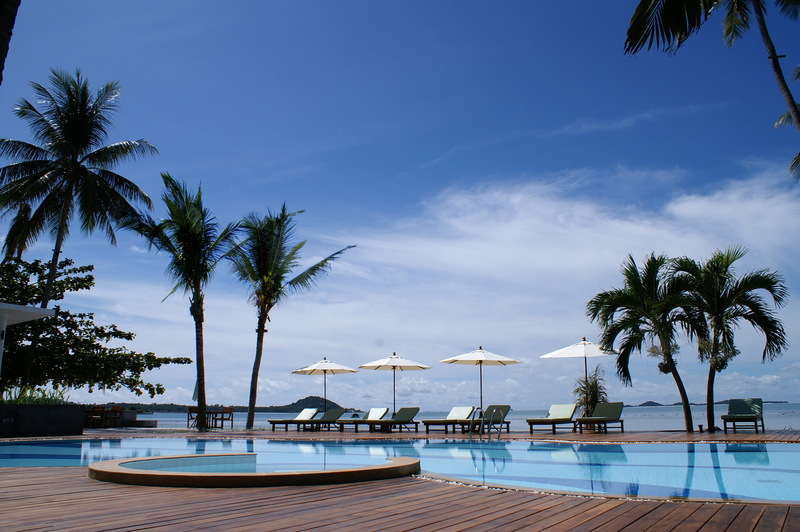 Vietnam’s Evason Ana Mandara at Nha Trang, received the award as Vietnam’s Leading Resort 2012. Evason Ana Mandara is celebrating its 15th anniversary, and was Vietnam’s first beach resort to be opened as the country embraced tourism. Six Senses Ninh Van Bay won the title of Vietnam’s Leading Spa Resort 2012. The resort is located across the bay from Nha Trang. On hand at the gala event to receive the awards for Six Senses, was Jamie Crisp, director of sales at Six Senses & Evason Hua Hin. A packed delegation of VIPs, senior tourism figures and international media travelled from 42 nations to attend the Singapore event, held in conjunction with TravelRave 2012, Asia’s most influential travel trade festival. The WTA awards program, hailed as the Oscars of the travel industry by global media, highlights and rewards those travel brands that have made the greatest contribution to the industry over the past year. SNORKELING, BOATING AND KAYAKING at Koh Tan and Koh Mutsum, both of which are renowned diving and snorkeling spots, can be arranged for guests staying at Centra Coconut Beach Resort Samui, before or during their arrival. 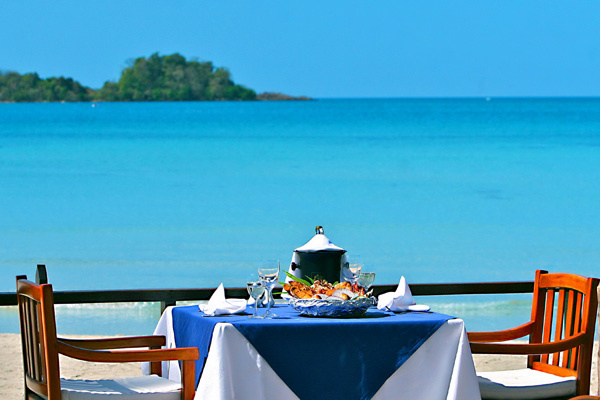 The two islands are within view of the resort, and are easily accessed from Samui. Koh Tan, also known as Coral Island, is a few hundred metres off the southwestern coast of Samui. A small island with no roads or cars and only one village, it is surrounded by a coral reef and with serene and sandy beaches, is an idyllic spot for snorkeling and sunbathing. Koh Mutsum is to the south of Koh Tan, and has a long and sandy beach that is ideal for picnics and barbeques. The intimately scaled Centra Coconut Beach Resort Samui has 54 rooms and villas of living space including a furnished balcony or terrace. Perfect for couples and large enough for families, the accommodation includes pool view rooms and rooms with direct pool access, while the resort’s seven villas each feature a Jacuzzi, a large living space and garden or ocean views. 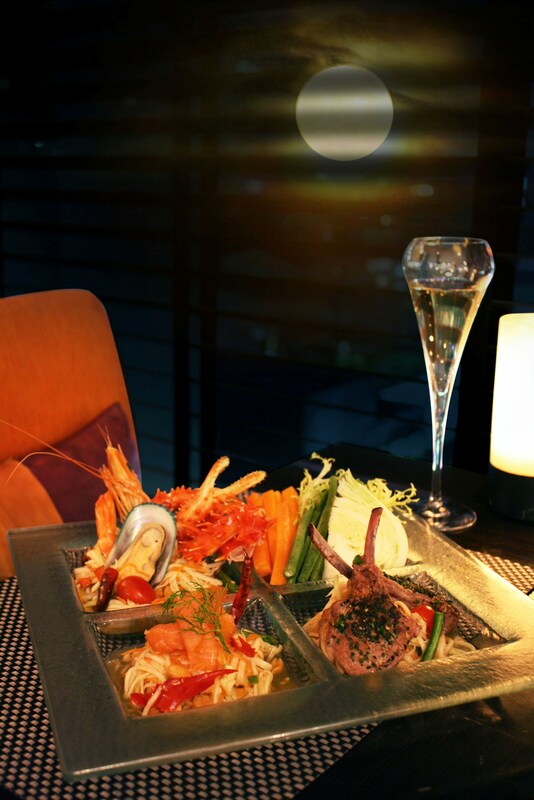 Thai and international cuisines with an emphasis on fresh seafood are served at the beachfront restaurant, and there is also a beach bar and a pool bar. KOH CHANG TROPICANA Beach Resort & Spa, managed by Centara has undergone a multi-million baht upgrade prior to being rebranded as Centara Koh Chang Tropicana Resort. Centara Hotels & Resorts acquired the management contract for the property, which is set on Klong Prao Beach on the island’s west coast, in April of this year. Thirayuth Chirathivat, CEO of Centara Hotels & Resorts, who made the announcement, said Centara was “delighted to have added this exceptionally fine resort to our management portfolio, and look forward now to the completion of this very extensive upgrading program and rebranding of the property,”. The upgrade will see renovations and remodeling undertaken to the entrance, lobby and reception, and the creation of a new lobby bar. The resort’s ocean-facing Sea Breeze restaurant and bar will also be completely renovated. Interior remodeling is being undertaken on 22 of the cabanas to make the accommodation more family-friendly, a new kids’ club and adventure playground is being installed, and a waterslide is being added to the splash pool. The resort’s 157 rooms and suites are designed to enhance the sensation of living in a tropical setting and are contained in two wings, Superior and Deluxe, spread throughout landscaped gardens. With its natural surroundings the resort is tranquil and features an oceanfront swimming pool, water sports and spa. Nearby attractions such as forest paths, waterfalls, a fishing village and an elephant camp to explore. Remodelled to Spa Cenvaree standards, the new spa is set in the garden of the beachside resort, with its own lotus pond, and utilizes the natural surroundings to create a mood of relaxation. There are eight treatment suites including two private couple rooms with Jacuzzi and sauna. Its spa menu includes a range of treatments, including traditional massage, rubs and body scrubs using herbs and other natural ingredients, holistic rituals that have their origins deep within Thai history and culture, and an exotic blend of East and West therapies. Massage salas are placed on the beach, and there is an outdoor relaxation lounge where guests can enjoy complimentary herbal tea, fresh juices and healthy snacks after their treatment. Centara Koh Chang Tropicana Resort is set on the white sands of Klong Prao Beach, in the centre of Koh Chang’s west coast. The resort’s 157 rooms and suites are designed to enhance the sensation of living in a tropical setting and are contained in two wings, Superior and Deluxe, spread throughout the landscaped gardens.